In the event of any loss or damage, our claims department will assist you with lodgement, negotiation and settlement of claims. Await instructions from the insurer, assessor or our office. Complete the supplied claim form and return to our office. If an assessor is appointed, supply the form to the assessor. Attach all original quotations obtained for replacement of, or repair to, the damaged or missing property. Photocopies are not always accepted. Attach original valuations and receipt of purchases whenever possible. Advise the Police immediately in the event of loss by burglary, housebreaking, theft or suspected malicious damage. Also make sure the premises are secure to avoid further incidents.Note: Police reports can be very slow, so if you can obtain one at the time the report is taken, valuable time will be saved. If a copy of the report cannot be obtained, take note of the report number. Attach any letter of demand and any other correspondence that you may receive from a Third Party. Do not make any admission of liability for loss or damage caused by you to the Third Party. Submit the claim form to the Insurer. We will follow up the claim until settlement is reached, however, please feel free to contact us at any time. An assessor is an independent person who is appointed by the Insurer for their impartiality and expertise in helping you finalise a larger or more difficult claim. They will obtain details of a loss and arrange for quotes and prepare the necessary paperwork. The assessor is your first point of contact. The Insurer will not act until reports from the assessor are received. Although not bound by the assessor’s recommendations, the Insurers usually accept these reports. If you are unhappy or confused with any aspect of the claim, advise the assessor. If the assessor is unable to correct the problem or you are unhappy with their response, please contact Brookvale Insurance Brokers immediately. Report ALL incidents as soon as possible and obtain statements from witness’ and staff concerned as soon as practicable after the event, especially if someone is injured. Give ALL possible information; have an incident report form completed if no claim forms are available. Report ANY incident which could lead to a claim by staff, customers or third parties. 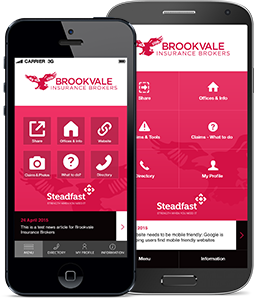 Brookvale Insurance Brokers is a subscriber to the Financial Ombudsman Service Limited (FOS). FOS is a free consumer service designed to handle complaints and help resolve problems between insurance brokers and their clients. Anyone who has a problem with their insurance broker concerning a general or life insurance policy can contact FOS. If you have any query about whether your complaint can be handled by FOS, call 1300 78 08 08 or email info@fos.com.au. ?